The students used trash and recyclables to create art that represents their ideas of sustainability and preservation. 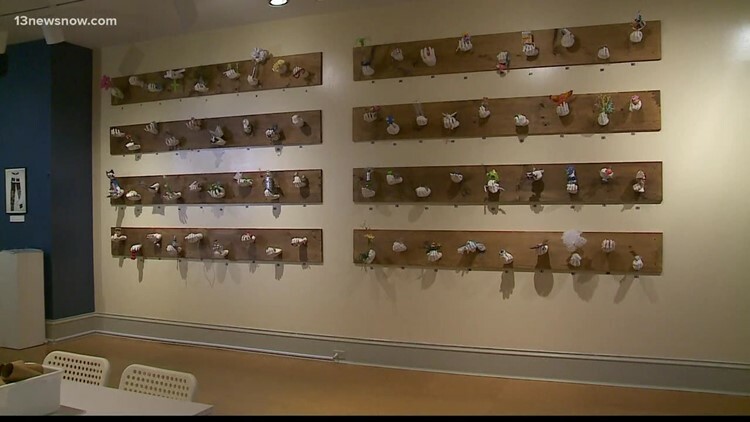 NORFOLK, Va. (WVEC) — The Chrysler Museum of Art has a new exhibit giving local students hands-on experience in the arts. The exhibit features the work of almost 100 students from Green Run Collegiate in Virginia Beach. The students used trash and recyclables to create art that represents their ideas of sustainability and preservation. "The idea was for students to pick something they want to preserve in their life using their own consumable trash," said Erika Hitchcock, the school's IB Visual Arts and Photography Teacher. There are 72 molded hands-on displays that belong to students, with each hand holding some variation of trash. "Those are actually all the students' hands molded from an alginate," said Hitchcock. The inspiration came from the museum's current exhibit by Vik Muniz called "Photography and the Rebirth of Wonder." The students even got to meet the Brazilian artist weeks ago as they started their project. "And the students were inspired by his work. And he works with a variety of materials, some of them as unusual as chocolate, and caviar and trash to create some of his images," said Erik Neil, Director at the Chrysler Museum of Art. 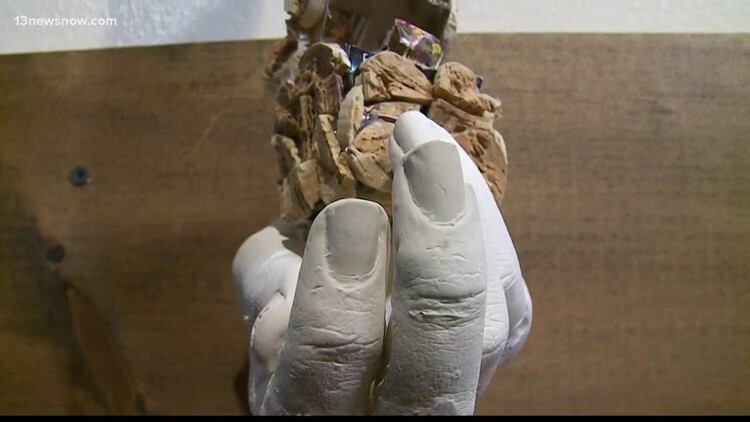 For the students, each hand represents a different interpretation of preservation. From a Bible verse to a cassette tape, even an old YooHoo box. Their art teachers hope the experience will remind the students of the voice they can have through art. "Art is so powerful that it can change lives and just the fact that they can create something meaningful that can inform and educate people around them," Hitchcock said. The students' art will be on display at the Chrysler Museum through October 29.